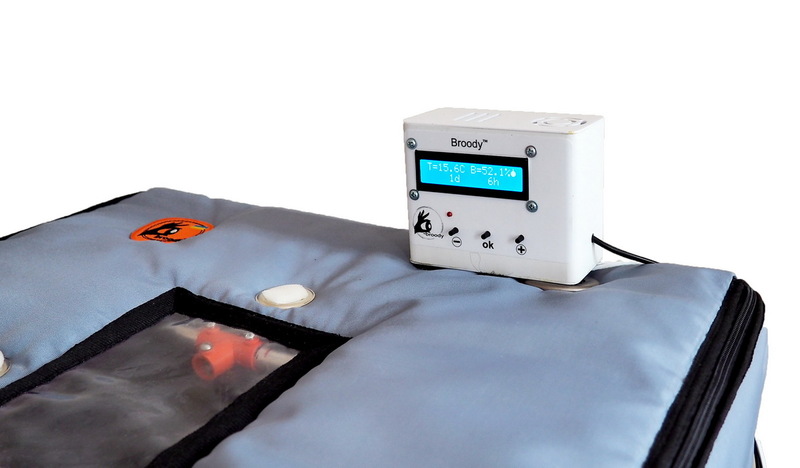 Broody Micro 50 incubator is a modern incubator of folding design with automatic adjustment of humidity and temperature. 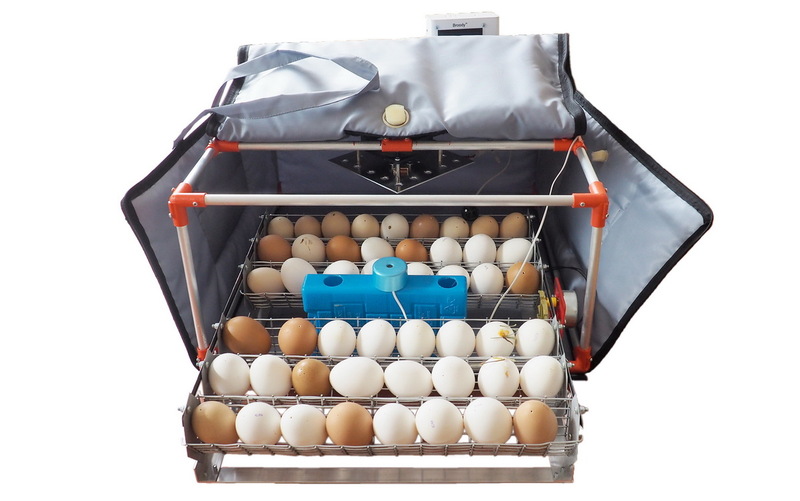 Designed for incubation of 50 chicken (duck) eggs. The main feature of the Micro 50 is an efficient humidifier that allows you to set, adjust and maintain the specified humidity in the incubator. 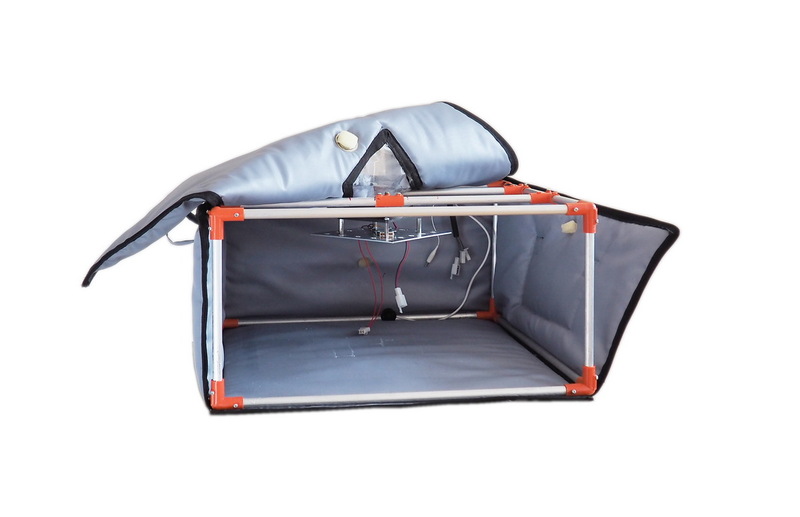 – easy collapsible, corrosion-resistant, frame made of aluminum tubes and plastic connecting elements and allowing compact transport of the incubator and reduce shipping costs. The connecting elements are made of plastic (polyamide), resistant to high temperatures and aggressive environments. – heat-moisture insulating cover made of a special wear-resistant waterproof fabric, which allows for sanitary cleaning by washing in a washing machine. 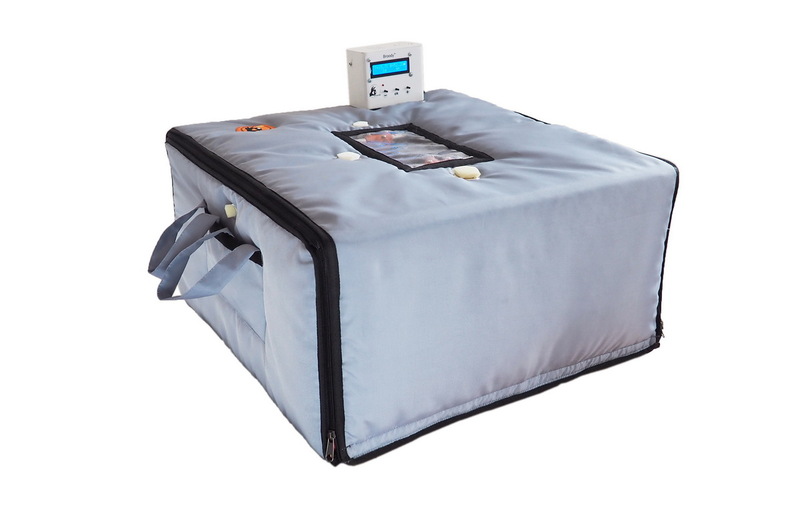 – a humidifier of a geyser type, which allows maintaining a predetermined moisture level in the incubator. 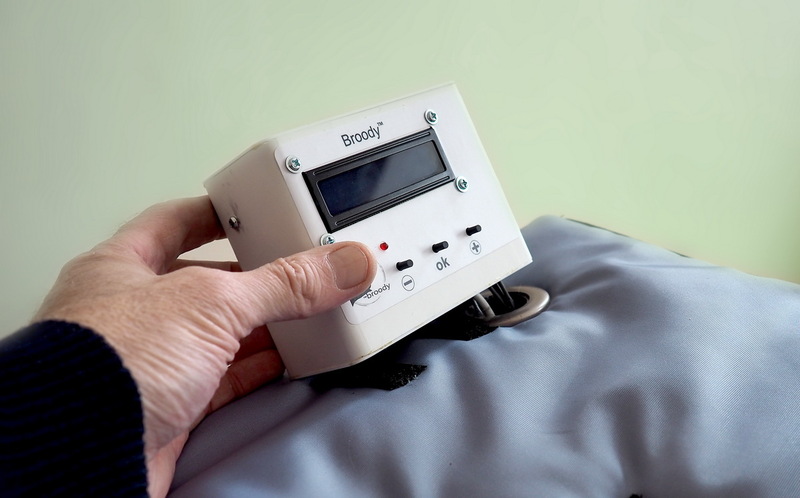 – The forced air circulation and heating unit. The temperature control system is based on the PID-controller (Proportional-Integral-Differentiating Controller), namely, automatic control with feedback, which excludes even short-term overheating of eggs. Power regulation has 255 steps. 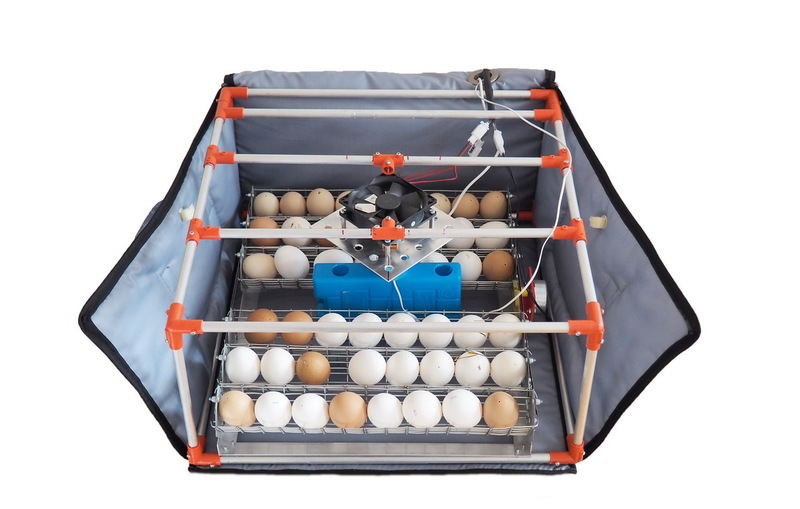 – an original tray of automatic coup of eggs with a motor. 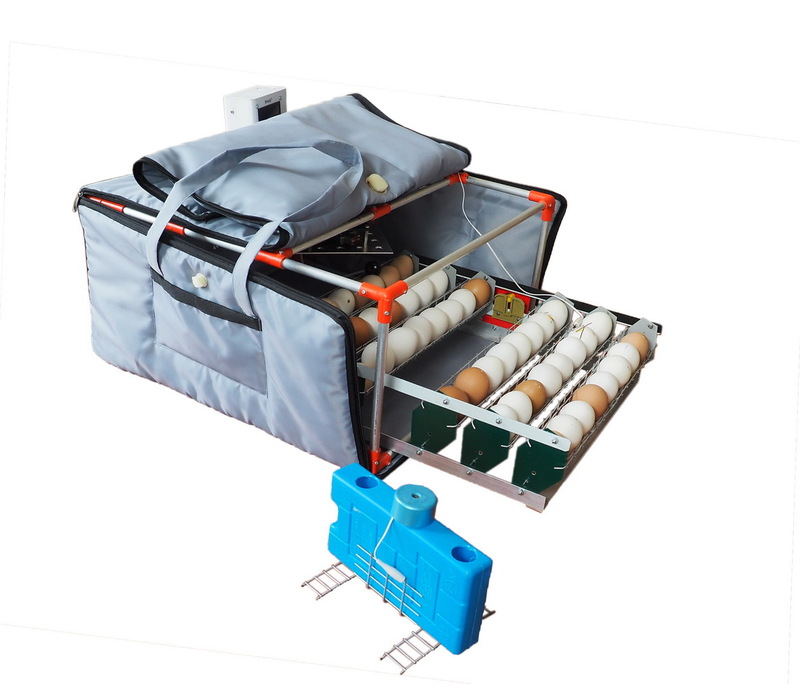 The tray is equipped with mesh cassettes designed to bookmark 50 chicken or duck eggs (guinea fowl, pheasant eggs). 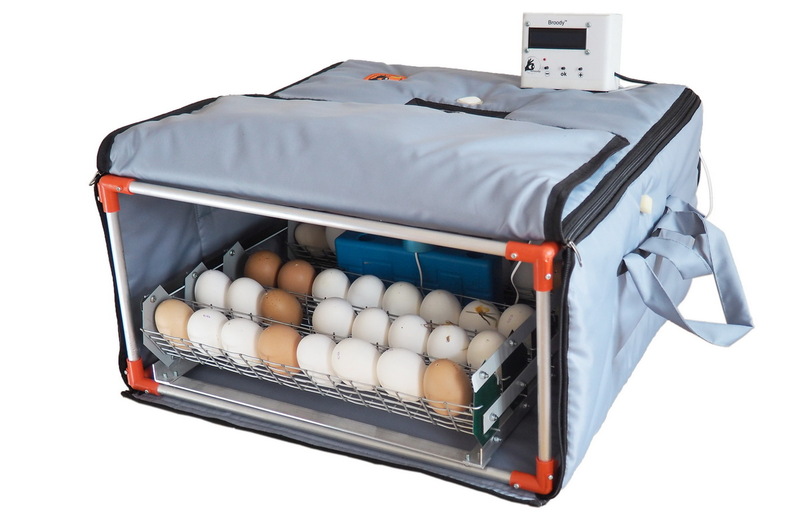 The use of cassettes equipped with a special mesh liner Q28, allows the incubation of eggs of smaller breeds of birds, such as quail. 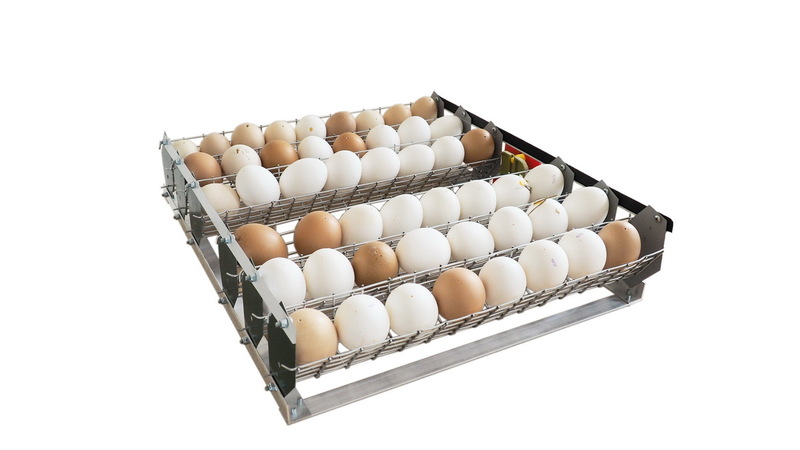 Capacity of a tray with a liner Q28 – 168 quail eggs. It is also possible to use special cassettes for goose eggs. Capacity of a tray with “goose” cassettes: 42 goose eggs (with vertical arrangement of eggs), 24 goose eggs (with horizontal arrangement of eggs). 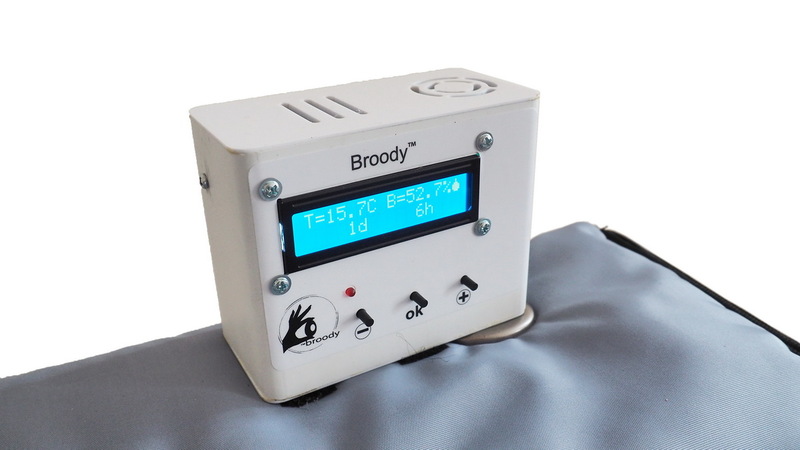 Broody Micro 50 incubator – is intended for poultry-lovers and professionals engaged in breeding birds of different breeds in small quantities.